Have you ever dreamt of gazing into the eyes of chatbot while explaining your frustration with a service? If so, that would be oddly specific, but you’d also be in luck, thanks to an ambitious New Zealand startup. 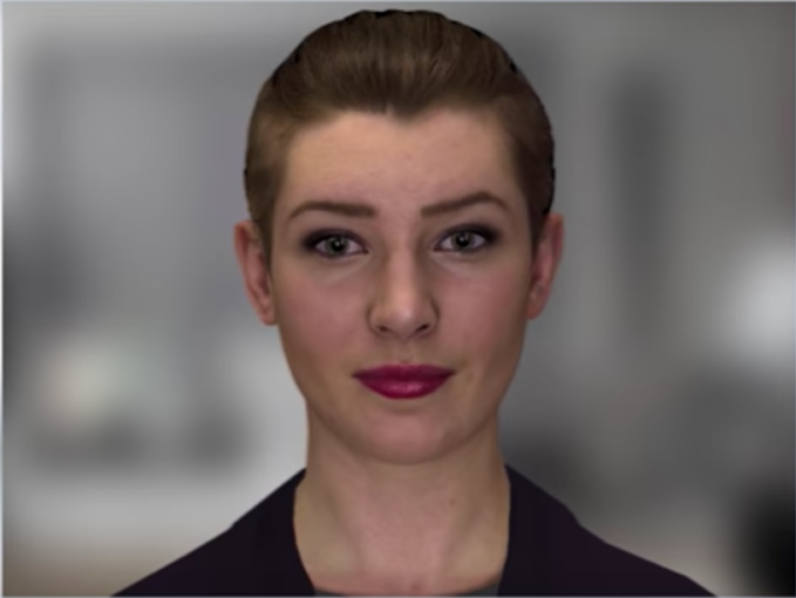 The company, which has the eerie name of Soul Machines, has created a virtual chatbot that can not only portray human emotion, but also read human facial expressions. The aim is to take chatbot service to the next level by humanizing the interaction between man and machine, basically by making them more like us. The chatbot, or Nadia as it (she?) prefers to be called, can ‘see’ users through webcams and get a better sense of users’ emotions. Soul Machines call this the avatar’s ’emotional intelligence’ or EI, which allows bots like Nadia to connect with people on a more subtle emotional level. Just like AI, EI can learn through experience. The more Nadia interacts with real people, the better she will get at reading people’s emotions. If a user changes his tone or facial expression, Nadia will be able to pick up on that and adjust her answers to better fit the user’s emotional state. The brain behind Nadia is Mark Sagar, professor at the University of Auckland and CEO of Soul Machines. Sagar is no novice when it comes to realistic facial animations and has even won academy awards for his work on facial motion capture techniques in Avatar and King Kong. Sagar’s expertise makes Nadia incredibly life-like, almost to the point where it gets kind of creepy. But fear not, Nadia is actually pretty nice. She doesn’t want to start a robot rebellion or kill all humans. Instead, she has dedicated her ‘life’ to helping people with disabilities. Nadia, who is voiced by none other than the amazingly talented Cate Blanchett, was developed for the Australian government to improve services for people with disabilities. Nadia helps users access the National Disability Insurance Scheme (NDIS) and find the information they need as well as improving their experience of the system. People with disabilities often have a hard time dealing with the bureaucracy of NDIS due to its complexity and slowness. Nadia was created to fix all that and make a more human service available anytime and anywhere. The possibilities of a project of this nature are relatively endless. In fact, Soul Machines is currently working on similar chatbots for other industries. It wouldn’t be a surprise if companies soon make the move to avatar customer service.